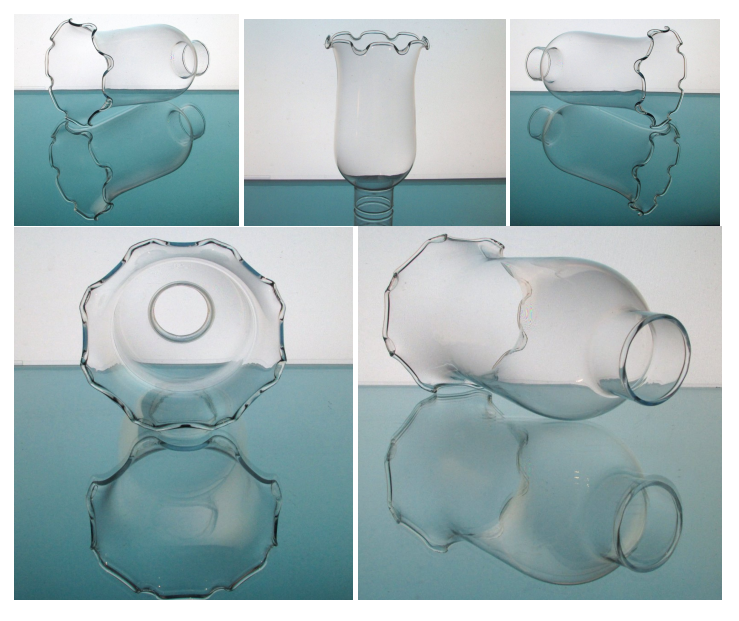 Hand blown, crimped glass replacement shade for your lamp, candle holder or chandelier. 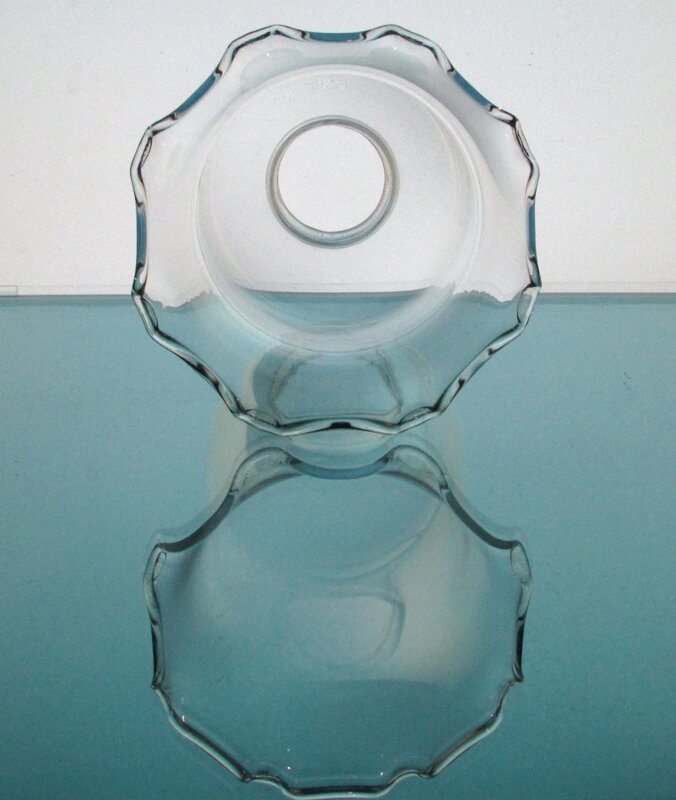 Simple Victorian design with gentle flare that sweeps up to a crimped design like small ripples around the top rim. 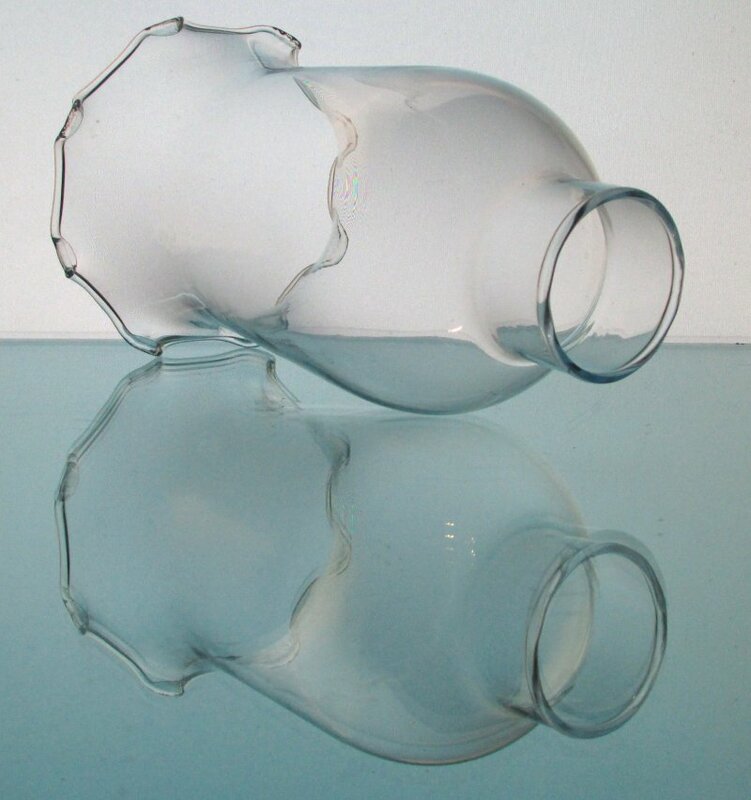 Very dainty shade, light weight..Bottom fitter edge measures 1 5/8 inch across. 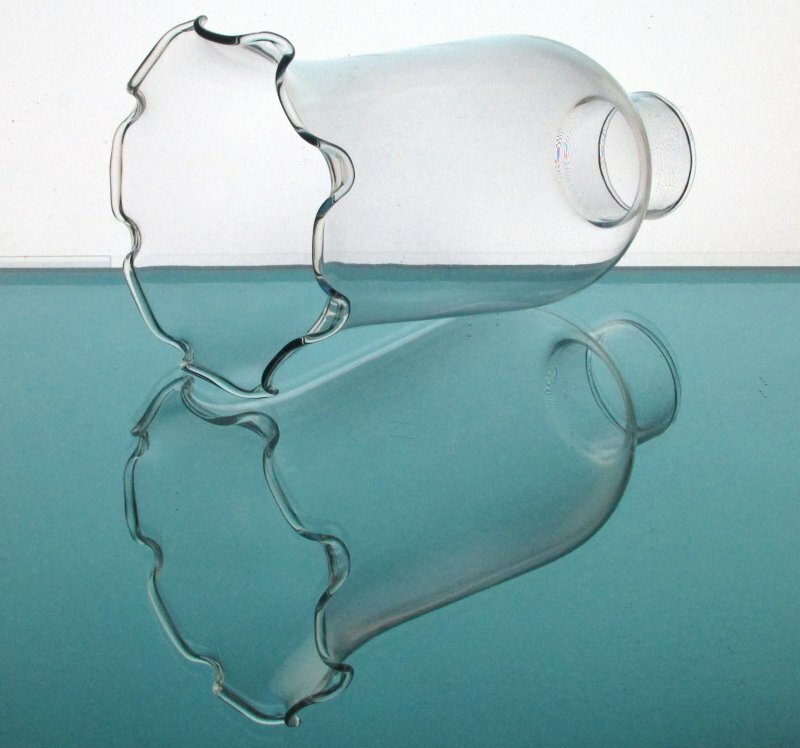 Flared top edge measures approximately 3.75 inches across and stands 6.75 inches tall. 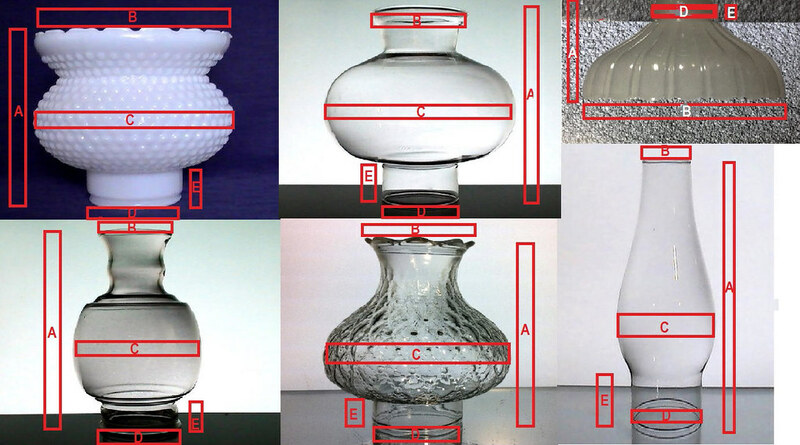 Hand blown, crimped glass replacement shade for your lamp, candle holder, or chandelier. 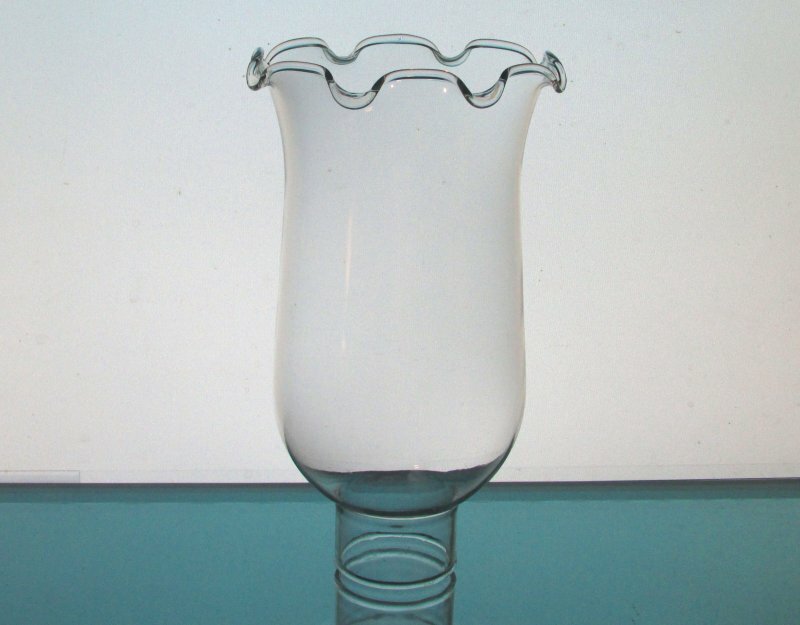 Simple Victorian design with gentle flare that sweeps up to a crimped design like small ripples around the top rim. Very dainty shade, light weight..Bottom fitter edge measures 1 5/8 inch across. 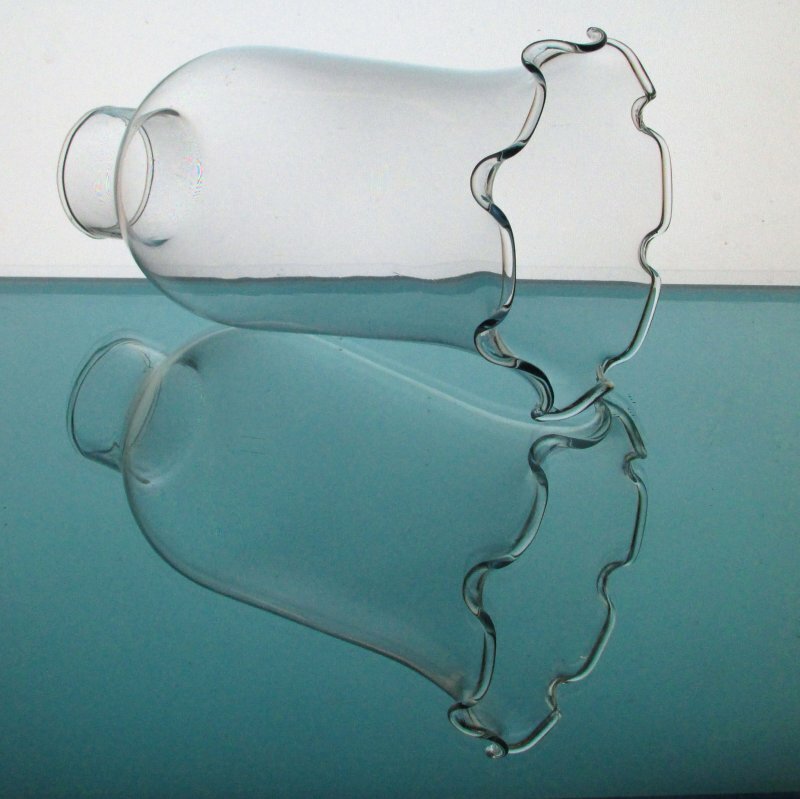 Flared top edge measures approximately 3.75 inches across and stands 6.75 inches tall.